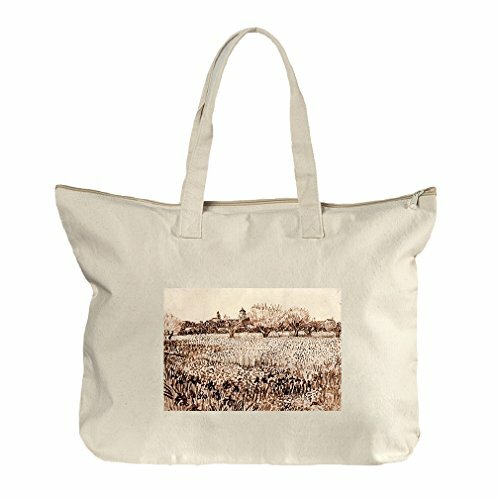 This is the perfect tote, it is ideal for those trips to the beach but you can use it everytime even to go to the market and forget about use those useless plastic bags. It measures 20.5"Wx14.5"H and 6"D at the bottom. The tote features a zipper to prevent dropping your items, also it has an inner pocket to carry your celphone or wallet. Made from 100 percent cotton.